When you hear or read the word ‘Apprenticeships’ what do you imagine? For many it will be an image of a young person entering a trade as a trainee. If you search for Apprenticeship images online, you’ll be served a range of young construction workers and other manual trades – because this is what we expect to see. Precisely because the term has been used to describe school-leavers entering the trades for so long we are now faced with a battle to get people to re-evaluate what today’s Apprenticeships really are. DPG’s recent survey backs up this assertion, that there is not only a problem of awareness but also understanding amongst the 1,000 managers and business owners they surveyed. An alarming 63% of respondents hadn’t heard of the Apprenticeship Levy (by January 2018), and 43% believed that there weren’t any Apprenticeship schemes relevant to their industry. Is this word still appropriate for a scheme which allows learners to advance to master’s degree level? What’s wrong with the Apprenticeship brand? Branding isn’t just about the name you use, the logo or brand personality. Brand perception is the reality of how consumers really perceive your brand and what it stands for. In this case, if the perception of Apprenticeships is so far removed in people’s minds, from the reality of what today’s Apprenticeships are about, perhaps it is time for a rebrand? What's wrong with the current Apprenticeships brand? Previous Apprenticeship schemes focussed on school leavers, providing a supported route into work, combining work-based learning with studying. It was an opportunity for fresh-faced youngsters to learn their trade under the supervision of more experienced colleagues. Modern Apprenticeship Standards have no age restriction, although there is additional funding available to employers taking on an Apprentice aged 16-18. The Apprenticeship Levy makes it even more important for employers and employees to embrace Apprenticeships as a vehicle for Continuing Professional Development (CPD) for employees of all ages. Apprenticeships are for everyone, not just young people. The terminology of Apprentice was once interchangeable with Trainee or even Journeyman. The evolution of the work-based learning approach had a common theme of technical, craft trades, manufacturing and engineering. Only since the 1990s has the term been used to describe training in, for instance the service sector. At the time of writing there are around 200 Apprenticeship Standards approved in trades ranging from Abattoir Worker to Youth Worker. Crucially, Apprenticeships are available in transferrable business skills such as Management and Customer Services, which apply across many industries. There is likely an Apprenticeship Standard relevant to most of the UK workforce, with more Standards being approved all the time. Apprenticeships are no longer only relevant to manual trades. Historically Apprenticeships were pitched at entry-level, what we would equate to GCSE or A ‘level. The young Apprentice would combine practical work experience with theory taught at a college of further education. They would be starting out in their craft, learning from their tutor and employer. Today’s Apprenticeships span levels 2 to 7, where level 2 equates to GCSE and level 7 is broadly equivalent to a master’s degree. Level 4 equates to a foundation degree and Level 6 a full Batchelors degree. It is therefore possible to advance through Apprenticeship levels as the learner progresses. Learners can enter at any point, so a learner with relevant A ‘levels can commence a level 4 Apprenticeship as if they were starting a degree. Apprenticeships are not just for school-leavers. What are the options for Apprenticeship branding? The problem faced is that the terminology used (Apprentice, Apprenticeship) has a very strong association with an outdated set of requirements. In business this would be considered a strength, as brands spend years and considerable budgets trying to build brand equity into their brand names. Stay with the Apprenticeship term and re-educate employers, learners, parents and educators that the phrase has broader meaning through effective marketing communications that raise awareness and understanding of the scheme. This requires persistence, consistency of message and budget. Ditch the Apprenticeship term in favour of new terminology (suggestions welcome!) that is perceived to have more relevance to the broader demographic and breadth of industries that modern Apprenticeships have. This is effectively starting from scratch, which is a big ask. 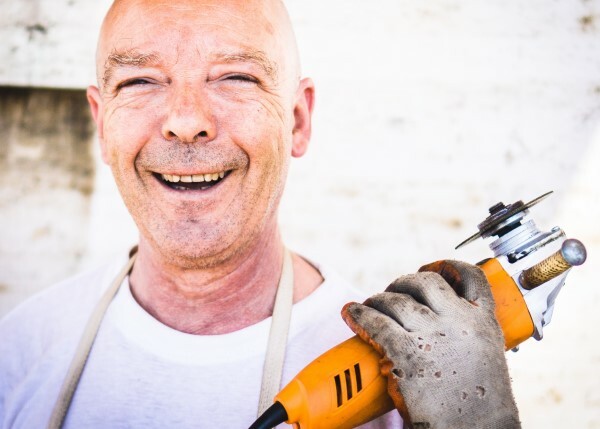 Seek to build on the brand equity of the Apprenticeships term but evolve it by appending a qualifier such as the ‘Modern Apprenticeships’ term used in Scotland, say ‘Professional Apprenticeships’ or another similar term. Clarity of communication is important in this case as there needs to be supporting information which explains what is different about the new scheme. What next for the Apprenticeships brand? 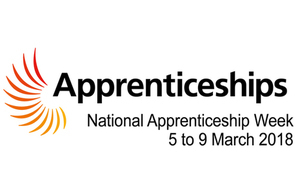 The current situation of poor understanding leaves the National Apprenticeship Service with an uphill struggle to not only raise awareness but also to improve understanding of the current Apprenticeship scheme. The status quo is currently thought unlikely to deliver the government’s ambitious Apprenticeship targets. In my opinion the moment has passed for a complete rebrand, given that Apprenticeship Standards have launched and are being bedded in. That, and the introduction of the Apprenticeship Levy would have been the ideal opportunity to rebrand the Apprenticeship scheme. Changing the name now would simply add to employer and learner confusion. That leaves us with the third option – evolving the Apprenticeship brand to bring out-dated terminology up to date and in line with the workings of the modern Apprenticeship scheme. By qualifying the term ‘Apprenticeship’ we can indicate a change to the terms of the scheme which allows people to recognise that something is different. Secondly, our choice of qualifier should be one that adequately explains the new scheme terms – “Professional” ticks the right boxes for me as it communicates the breadth of subjects and levels well. It also references the phrase ‘Continuing Professional Development’ which describes training undertaken by those already progressing their careers, which is one of the target markets we are hoping that Levy paying employers will use their funds to support. Will the Apprenticeship brand change? We’ll see. In the meantime, we all need to get behind clear and consistent messaging to explain to employers, learners and parents that Apprenticeship Standards are for everyone. If you need help with Apprenticeship branding, recruitment or marketing communications then get in touch. Roisin Kirby is an experienced Marketing Consultant based in Nottingham (UK), specialising in education and services marketing. A Chartered Marketer and Fellow of the Chartered Institute of Marketing.